Dice began his career in 1992, signing with World One Records, who released his debut album, The 40 Made Me Do It through Raw Dogg Records. After touring with Ultramagnetic MCs, Ice Cube and Da Lench Mob, Dice recorded several songs with Reel Life Productions. Although he did not sign a contract with the label he made following appearances on Natas’ Doubelievengod and Mastamind’s EP Lickkuidrano. Dice also released the album The Neighborhoodshittalka on Reel Life in 1996. Dice left Reel Life in 1996, and formed Fallen Angelz entertainment with Russell Culvin eventually releasing his next album Black Monday in 2000. After recording another album, Red Rain, with Fallen Angelz,, Dice left and formed his own label, in 2003 called Big Head Records and released Neighborhood Watch and album Drug Abuse. As of 2013 Dice renamed the company Self Medicated records and released his latest album MorFein. 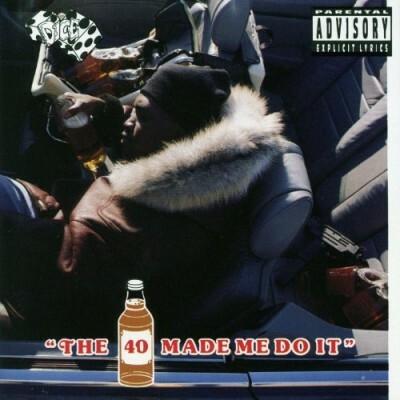 comment "Dice – The 40 Made Me Do It (CD) (1992) (FLAC + 320 kbps)"